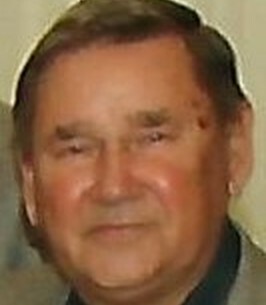 John J. Froncek of Somerset, New Jersey, formerly of Jessup, died Monday November 19, 2018. He was preceded in death by his wife Mary Froncek. Born in Jessup he was the son of the late Joseph and Margaret Froncek. A graduate of Jessup High School, Class of 1950, he went on to proudly serve in the United States Army during the Korean Conflict. He was a member of the Stevenson-D’Alessio American Legion Post #12 in Somerville New Jersey. Prior to retirement he was employed by Johns-Manville in New Jersey, and he then continued to work as a school bus driver for Bridgewater Township. Surviving are a daughter Dana Froncek, Jessup; granddaughters Jennifer Starr, New Jersey, and Ashlee Froncek, Jessup; great-granddaughter Mikaela Starr; sisters Mildred Sylvester, Greenfield Twp., and Mary Anne Suche and husband Stephen, Syracuse, New York; several nieces and nephews. He was preceded in death by daughter Linda “Leigh” Starr. Funeral services will be conducted on Friday at 10 am in the Arthur A. Albini Funeral Home 1003 Church St. Jessup. Interment will follow in Holy Ghost Cemetery, Jessup. Friends and family may pay their respects Friday from 9 am until the time of service. In lieu of flowers memorial contributions may be made to the Griffin Pond Animal Shelter 967 Griffin Pond Rd., South Abington Twp., PA 18411. 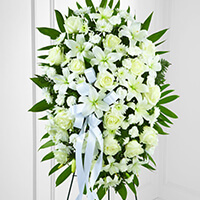 To send flowers to the family of John Froncek, please visit our Heartfelt Sympathies Store. We encourage you to share any memorable photos or stories about John. All tributes placed on and purchased through this memorial website will remain on in perpetuity for future generations. Words cannot express how deeply saddened we are for your heartfelt loss. Sending all our love and condolences. Grandpa, you will be missed. May you rest in eternal peace.